Wizian acts as a booking agent in respect of all bookings we take and/or make on your behalf. We accept no liability in relation to any contract you enter into or for any travel arrangements or other services you purchase (“Arrangements”) or for the acts or omissions of any supplier or other person(s) or party(ies) connected with any Arrangements. For all Arrangements, your contract will be with the supplier of the arrangements in question (the ‘Supplier/Principal’). When making your booking we will arrange for you to enter into a contract with the applicable Supplier/Principal of the Arrangements. Your booking with us is subject to these Agency Terms and Conditions and the specific booking conditions of the relevant Supplier/Principal(s) you contract with and you are advised to read both carefully prior to booking. The Supplier/Principal’s booking conditions may limit and/or exclude the Supplier/Principal's liability to you. Copies of applicable conditions are available on request from us. All references to ‘packages’ and ‘package holidays’ on our website, wizian.com (our “Site”), marketing material or in these Agency Terms & Conditions means packages organised by third party Supplier/Principals on whose behalf we act as an agent. 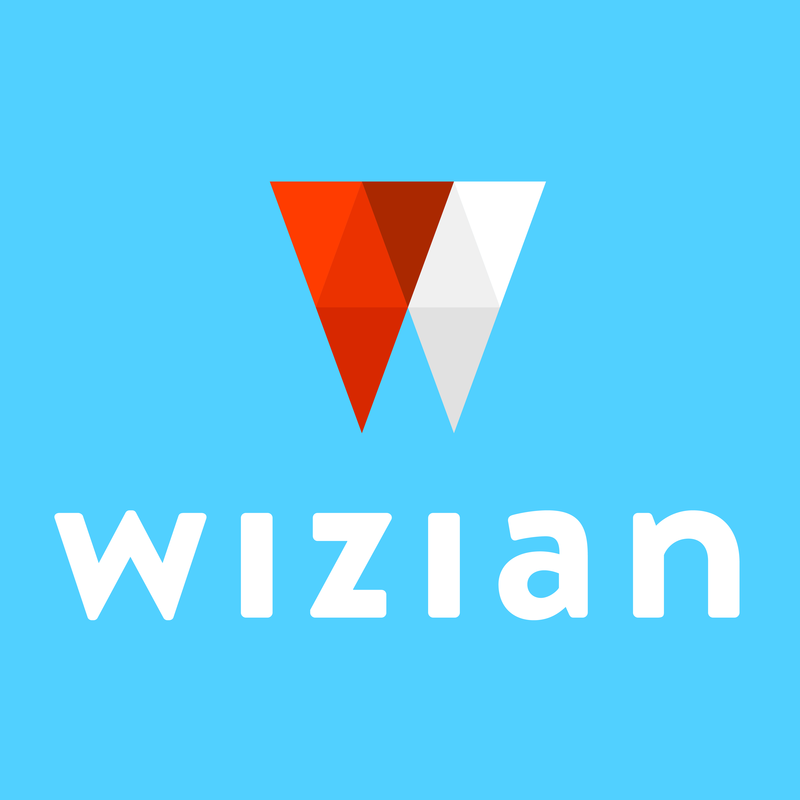 Wizian does not organise or sell packages in its own name. Wizian provides an online platform for you to browse and search various Arrangements, and acts as booking agent only in respect of bookings we make on your behalf. By booking travel services on our Site you will be entering into a contractual relationship with the applicable Supplier/Principal, we act solely as an intermediary and agent. Wizian shall not be liable for any losses, expenses or damages of any sort due to you as a result of the acts, errors, omissions, breaches, negligence, fraudulent intent, misleading or untrue statements, breach of contract, breach of statutory duty, wilful misconduct or any other tortious act attributable either wholly or in part to any Supplier/Principal, which includes their employees, directors, officers, agents, representatives or affiliates. This means that in the event of you suffering personal injury, illness or death as a result of any act or omission of a Supplier/Principal (or their employees or agents) or you have any complaint about the quality of the Arrangements provided or having any other complaint at all, your sole right of redress will be against the Supplier/Principal in question. You understand that we may not have conducted any quality or other checks on the Supplier/Principals and we make no representations about the suitability of the Arrangements. The inclusion or offering for sale of Arrangements by Wizian does not constitute an express or implied endorsement or recommendation by Wizian of such Arrangements. We do not guarantee the accuracy of, and disclaim liability for any inaccuracies relating to the Arrangements offered for sale through us. We shall not be liable for any damages arising as a result of any inaccurate information or errors on our Site which relate to the Arrangements. We shall not be liable to you for any losses in the event of a Supplier/Principal overbooking, cancelling bookings in full or in part, force majeure events or any other cause beyond our or their control. Where you, or any of the people that you are booking on behalf of, are in breach of any of the provisions of these Terms or contravention of any laws or rights of a third party, we, on behalf of the applicable Supplier/Principal, reserve the right to cancel your booking without refund or compensation in any way and recover from you any costs incurred as a result of your behaviour. Nothing in these Agency Terms and Conditions shall, nor shall be deemed to, exclude or limit the liability of Wizian for any death or personal injury caused as a result of our negligence, or the negligence of our employees or for fraudulent misrepresentation. Any information placed on the Site relating to Arrangements including, but without limitation; details of accommodation, the availability of rooms at the accommodation, the price of the rooms, the facilities available at the accommodation, any accreditations afforded to the accommodation such as a star rating, details relating to any other services advertised on the Site have been placed on the Site by the applicable Supplier/Principal who is an independent business and are not agents or employees of Wizian or its affiliates. Such information does not constitute any advice or recommendation given by Wizian and Wizian shall not be held liable for inaccuracies or errors (including obvious manifest or typographical errors) in the information or any of its elements including rates and availability. IMPORTANT: Please note in particular that any accreditations or descriptions of quality such as a star rating have been placed on the Site by the applicable Supplier/Principal and not by us. We do not independently verify star ratings and the star is only indicative of what level of quality you can expect from a particular Supplier/Principal. As Wizian acts only as a booking agent we will have no responsibility for any errors or inaccuracies in any documentation supplied by the Supplier/Principals. Rates shown on our Site are per room per night, (and not per person). It is your responsibility to check the total price before completing the booking form. Rates are imputed onto our Site by the Supplier/Principals and not by us. Obvious errors and mistakes (including misprints and typographical errors) are not binding. In the event of an error or mistake being made, we or the Supplier/Principal reserve the right to cancel your booking and refund all monies paid (if relevant), this will be without any liability to you. We will make all reasonable effort to advise you of any cancelled bookings, on behalf of the Supplier/Principal, as soon as possible. Important: Unless otherwise agreed with Wizian, our Site and the services we promote on it are made available to you for personal and non-commercial use only and you may not use the information or services on our Site for any competitive or commercial activity. You may not offer for re-sale any accommodation that appears on our Site without our express permission. Simply search for your chosen destination and dates, select your preferred Arrangements and proceed to the final booking page. Please ensure you carefully check the dates, the price, the destination and the Arrangements carefully before proceeding with your booking. You hereby authorise Wizian to process all Personal Information about you and the persons named on the booking that has been obtained in connection with your booking. Personal information shall be deemed to include, but not be limited to: any telephone numbers, fax numbers, email addresses, addresses of residences, signatures, ID or passport copies, or any other information belonging to you or your group. In the event that you call Wizian by telephone, or are called by Wizian regarding your booking, calls may be recorded for monitoring and training purposes. In the event of a dispute regarding a booking, Wizian reserves the right to review any call information. COTS (UK) /CRIBS (US) - please advise at the time of booking if you require a cot or crib, in order that this information is given to the Supplier/Principal. We cannot guarantee this request will be met. Such requests will be subject to availability and if the Supplier/Principal is unable to meet any such request, neither Wizian, nor the Supplier/Principal, will have any liability to you in this respect. This request may only be available at an additional cost unless otherwise expressly stated in the description of the Arrangements, and if any additional cost is applicable this should be paid by you direct to the Supplier/Principal. If you have special requirements, such as needing a room with wheelchair access, please contact us before making your booking so that we can liaise with the Supplier/Principal to ensure that your needs can be meet. Please note that all such special requests are subject to availability and Wizian cannot guarantee that all Supplier/Principals will be able to meet your needs. Once you have booked your Arrangements, depending on the cancellation policy of the applicable Supplier/Principal, your booking may be refunded, cancelled, modified or you may be offered alternative Arrangements if your request cannot be met. By clicking the ‘Accept’ button you agree to these Agency Terms and Conditions. By completing and submitting the booking form you are making an offer to book Arrangements which, if accepted by the Supplier/Principal, will result in a binding contract made between you and the Supplier/Principal in question. Neither completing the booking process online or making a booking via the telephone constitutes acceptance of your offer. We will send you an email confirmation following your booking on behalf of the Supplier/Principal confirming their acceptance of your offer and forming the legally binding contract subject to any applicable terms and conditions of these Agency Terms and Conditions. Wizian will never take payment; the card details requested are simply passed to the Supplier/Principal to secure and guarantee your booking. Your credit or debit card details may be used by some Supplier/Principals to carry out pre-authorisation checks. The details may also then be used by Supplier/Principals to take advance payment or a cancellation fee or no show fee, if applicable. If you have booked an advance purchase rate, the Supplier/Principal will be allowed to charge the entire amount of the booking to the credit/debit card upon receiving the confirmation of the booking. We will only ever ask you to provide us with your card details on the secure booking form or directly on the phone to one of our contact centre staff members. You should never email your card details to us. Where Supplier/Principals process your credit or debit card details in connection with the provision of a booking, they will be bound to obtain and maintain any necessary accreditation required to provide payment processing services to you and shall be obliged to operate in accordance with the standards outlined in Payment Card Industry Data Security Standards (PCI-DSS) published on the website www.pcisecuritystandards.org. You acknowledge that the Supplier/Principal rather than Wizian is responsible for the security of cardholder data it possesses. You may modify or cancel your booking at any time prior to your arrival date through the Site or by contacting us via telephone. If you cancel or amend your booking, there may be a cancellation charge or amendment fee levied by the Supplier/Principal. In any event, if you fail to cancel or amend your booking in accordance with the Supplier/Principal's cancellation or amendment policy, you will be charged a cancellation or amendment fee by the Supplier/Principal. Further details of cancellation policy are set out in our email to you confirming your booking and are also shown on the relevant page prior to you making a booking. If, for whatsoever reason, you do not turn up at your Arrangements on the arrival date stated on your booking confirmation email, without prior warning to Wizian ("a no show"), this shall be considered a cancellation. Supplier/Principals may charge you a cancellation fee using the credit or debit card details that you provided to use when securing your booking. If you fail to arrive at your Arrangements on time on the day of your reservation and do not tell the Supplier/Principal in advance, the Supplier/Principal may cancel the remaining days on your reservation and you may be charged a cancellation fee, please see details in the Supplier/Principal’s cancellation policy for details. The Supplier/Principal’s cancellation policy will continue to apply even after your arrival at your Arrangements. So, for example, should you decide to shorten the duration of your stay, such a request will be dealt with at the discretion of the Supplier/Principal, and not by us in our capacity as the booking agent. If you amend your booking in this way there may be a cancellation fee levied by the Supplier/Principal and you should refer to the Supplier/Principal’s cancellation policy for more details. Where the Supplier/Principal requires a minimum stay for rooms attracting a certain price, this will be clearly stated on our Site prior to booking. Some Supplier/Principals may also charge additional fees for early check in or late check out. Please check the details of your Arrangements thoroughly for any such conditions prior to making your reservation. You warrant that you are 18 years of age or over and have legal capacity to use the Site and to create a legally binding contract with the relevant Supplier/Principal. You warrant that all personal information submitted during booking is correct and you accept financial responsibility for all transactions made under your name or account. You undertake that the credit or debit card you use to secure your booking is your own and that there are sufficient funds to cover the cost of the booking you make with us. In the event that you suspect credit or debit card fraud or unauthorised use of your card by third parties, you should contact your bank or card issuer immediately. Wizian is not liable for damages or losses that may result from travel to any particular destination. The British Foreign and Commonwealth Office help travellers stay safe overseas. Check the government website at https://www.gov.uk/foreign-travel-advice for the latest advice on conditions and general information concerning specific countries before making any travel arrangements. By displaying Arrangements in particular destinations, Wizian does not represent or warrant that travel to such destination is either advisable or risk-free. It is your responsibility to ensure you have the relevant travel and health documents before departure for the country you are visiting, which shall include, but is not limited to, any inoculations that may be required, ID's and passport, any visa requirements. Wizian shall not be liable for any expense incurred resulting from your missing, incomplete or incorrect documentation or any non-compliance with requirements. Except where otherwise expressly stated in these Agency Terms and Conditions neither we nor a Supplier/Principal will be liable or pay you compensation if either of our obligations to you are affected by any event which we could not, even with all due care, foresee or avoid. These events can include, but are not limited to actual or threatened war, , civil strife terrorist activity and its consequences, riot, the act of any government or other national or local authority including port or river authorities, industrial dispute, lock closure, natural or nuclear disaster, fire, chemical or biological disaster and adverse weather conditions, epidemics and pandemics, unavoidable technical problems with transport and all similar events outside our or the supplier(s) concerned’s control. Advice from the Foreign Office to avoid or leave a particular country may constitute Force Majeure. Occasionally we may advertise attractions, events and other activities and otherwise provide information about the area local to your chosen Arrangements. These advertisements are provided by us to you entirely in good faith based on our knowledge and experience. However, such advertisements do not constitute either a recommendation or endorsement of these local services or attraction. Currency rates are based on various publicly available sources and are only updated daily; as such they cannot be guaranteed as completely accurate and should be used as guidelines only. Actual rates may vary and you may wish to verify these with a qualified professional. When the payment is made in a currency other than the one used by Supplier/Principals, please be advised that variations in the applicable exchange rate may trigger a variation in the price to be, or actually, paid. These Agency Terms and Conditions are governed by English law and we both agree that the courts of England and Wales have exclusive jurisdiction (unless you live in Scotland or Northern Ireland, in which case you can bring proceedings in your local court under Scottish or Northern Irish law, as applicable). In the event that any provision of these Agency Terms and Conditions is found by a court or administrative body to be unenforceable, that provision shall not be a part of these Agency Terms and Conditions and the remaining provisions shall continue to apply. We have tested this website thoroughly and are always keen to improve our accessibility tools. We would like to know if you have found this website accessible or if you have had any problems. Please email enquiries@wizian.com. To the maximum extent permitted by law, wizian.com disclaims all implied warranties with regard to the information, services and materials contained on this Site. All such information, services and materials are provided "as is" and "as available" without warranty of any kind.